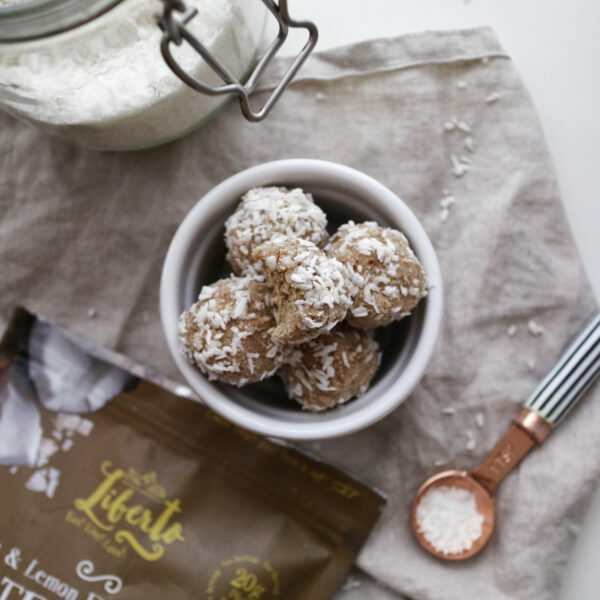 We are so excited that @romylondonuk has used our coconut & lemon protein powder to make her delicious bliss balls! Do check out her super inspiring Insta page for seriously delicious vegan recipes. Simply blend up all the ingredients, then roll into bitesize balls, wet your fingers, then roll the bliss balls in the desiccated coconut. And you’re done!